Are Divorcing Spouses Always Responsible for Their Own Attorney’s Fees? The legal process of divorce is much more complicated than most couples realize at the outset. Certain forms, completed in particular ways, must be submitted to the court and the other side at prescribed intervals. Missing any of the requirements or filing the wrong documents can delay the completion of the case, or even result in one spouse losing valuable rights. 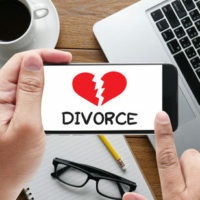 Working with an experienced divorce attorney can ensure this type of bad outcome does not occur, but many divorcing spouses understandably wonder how expensive using an attorney will be, and whether they can afford the cost. This concern is especially high in marriages where one spouse has considerably more resources to access compared to the other. This can leave one half of a couple feeling as if they have no real chance at legally responding to the other spouse’s claims. There may, however, be a solution to this issue, because Florida law does permit a court to order one party to pay all attorney’s fees in a divorce case. This option can prove invaluable for a spouse feeling disadvantaged by financial constraints, and a discussion of how a judge will evaluate this kind of request, and the rules for when these requests must come during a divorce case, will follow below. Predicting the total cost of a divorce case at the outset, unless the couple is in agreement on all issues, is almost impossible to do. Thus, spouses rarely know the amount of legal fees and other costs they will face by the end, but most realize from the beginning whether they can afford to keep pace with the intensity of litigation they are likely to experience. This early understanding is extremely important because any request for attorney’s fees must come in the first document either party files in the divorce case, i.e., the petition initiating the dissolution, or the other spouse’s answer. Rarely is it possible to later ask a judge to award attorney’s fees, so consulting with a divorce attorney before anything is filed is crucial to preserving this right. If one spouse is using litigation as a weapon to delay the proceedings and punish the other spouse – does he/she have legitimate claims? Importantly, any award will only be enforced for reasonable fees and costs. 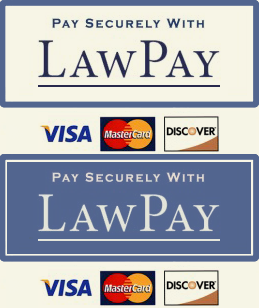 Consequently, a court may only approve a portion of the legal fees claimed, a point that is crucial for the payor seeking to mitigate the impact of an order to cover these expenses. Attorney’s fees requests are not easy to request or defend, and the advice of an experienced divorce attorney should be sought to ensure the strongest argument is presented to the court. If you are facing divorce and have questions about paying attorney’s fees, talk to the attorneys at Donna Hung Law Group about your potential options. These requests are very fact-intensive, and require a strong presentation to have a real chance at success. The Orlando attorneys at the Donna Hung Law Group understand what needs to be done to make this claim before a judge, and are available to discuss your situation. Contact us at (407) 999-0099 for a consultation.